‘They don’t know who I am,’ thinks Sarah, placing the cards deliberately, slowly, carefully on the table in front of her. The waiter walks past with a tray of drinks. He is heading to the back room, the private room, which hasn’t been available to anyone but a select few for several months. It is what it is, for now. The voice is firm and confident. Good, he has belief. “Oui, Monsieur Levillaine. 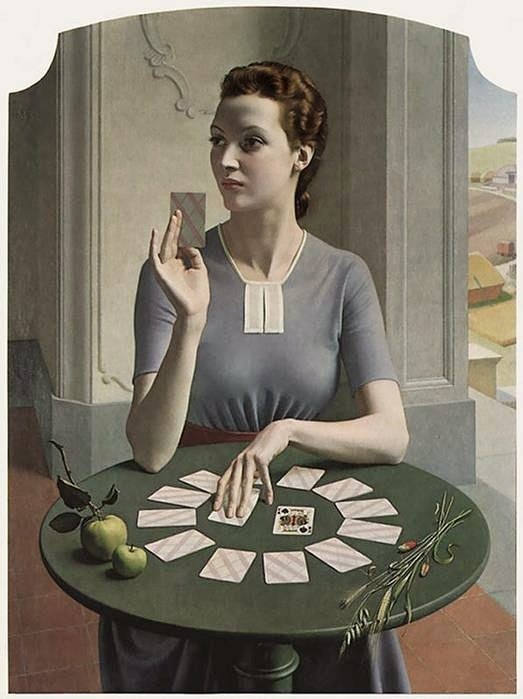 But please, call me Elodie.” She gesticulates to the chair opposite her, sweeps the playing cards together and returns them to their tattered cardboard case. He takes a seat, places his newspaper on the table, a half-smile playing around his lips. He is handsome, with a five o’clock shadow just beginning to show even at this early hour. It covers the light scar creasing his jaw line from earlobe to chin – the scar that Sarah knows so well. Drinks are brought to the table and sipped, and desultory conversation follows. The streetlights glow as evening descends. The men in the private room prepare to leave, chairs scrape the parquet floor as they gather scarves, coats and hats. The mood appears to be light, oiled by brandy. They have no reason to be serious or concerned, after all. Her guest takes his leave just before the private room empties. He places his hat on his head at a jaunty angle as she stands and they faire la bise – one, two, three – then he is gone. The grey-uniformed men flow past, paying no attention to the quiet woman sitting at the corner table, reading Le Figaro intently. The pack of playing cards is safely ensconced in her guest’s coat pocket. The next link in the chain is complete. The man stands outside in the shadows, lights a Gauloise, watching his wife through the windows of the restaurant. He has never been more proud, never been more afraid for her. Hidden in plain sight is a dangerous, dangerous game, even in these desperate times. Here’s my latest entry to Magpie Tales. I’ve not heard of this artist before but I do love this painting. I have no idea why my mind went to World War Two and the Special Operations Executive – but there you are. She just looked like she was waiting for something. I hope you enjoy it – and please do visit Magpie Tales for more poetry and prose! This is excellent Freya, is there more? You created tension so well. I have to add Freya that your response inspired me to have a go at this prompt. Great image to write to. Ooooh, I love it!! Can you please continue this? I thought she was waiting too. Great writing. Thank you, Cait. Yes, playing Patience in my experience has always been about waiting for something else…. Gauloise and Heloise have been playing this type of Russian Roulette for a long time…..
Freya, a very good write. Loved the build up and the ending. Really enjoyed this, very unique. Glad the prompt took you down this road! Thank you, Helena – I’m pleased you enjoyed it! Oh yes, I was on the edge of my seat! Powerful read. Could feel the mystery and the intrigue. Well done.